This is a guest post by Megan McGrane – physician’s assistant, health coach and autoimmune warrior. 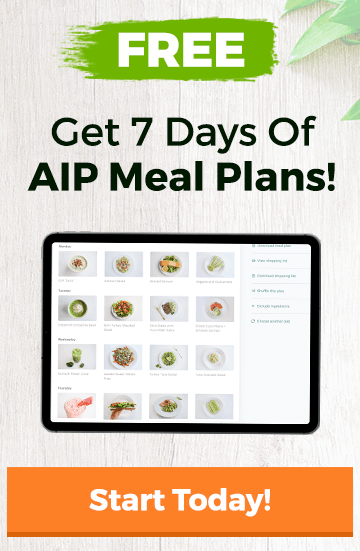 Check out our AIP Meal Plans. 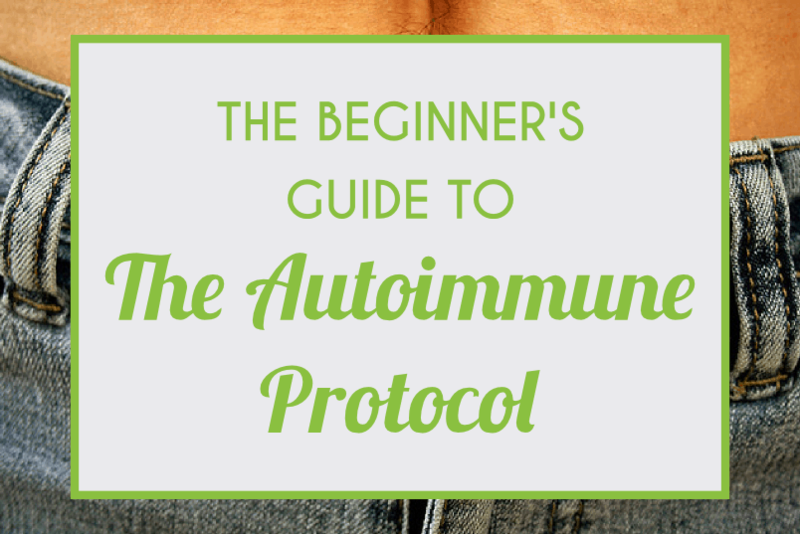 It’s a simple, sustainable way to follow the autoimmune protocol. Did you know that autoimmunity is one of the top ten causes of fatality in females under sixty-five years old? According to the National Institutes of Health, autoimmune disorders affect over twenty-three million people in the United States each year. Autoimmune disorders include hundreds of medical conditions that are due to the body’s own immune system attacking its own organs. For example, thyroiditis is an attack on the thyroid gland, Crohn’s disease attacks the gastrointestinal system, multiple sclerosis attacks the nervous system, and lupus primarily attacks the kidneys. One of the most frustrating things autoimmune conditions is that there is no curative treatment for them. Current therapies are often aimed at managing the symptoms alone. By using food as medicine, autoimmune protocol (AIP) followers are able to reduce troublesome symptoms and heal underlying imbalances by decreasing inflammation and healing gut dysfunction. The diet focuses on a nutrient-dense intake and eliminates inflammatory and allergenic foods to support the body in cooling down the immune system (which is what’s going awry). The take home point about AIP is that if you have an autoimmune issue, you most likely have a poorly functioning digestive tract. Because your gut is not in the best shape, byproducts of all of the things passing through your intestines are leaking through your gut barrier into your blood stream, causing your immune system to respond. This concept is fundamental to understanding why the AIP works in decreasing inflammation and immune system stimulation. So what CAN you eat? Well, you’re in luck. We’ve put together an awesome little graph that shows you the ins & outs of this paleo variation so you can stay on track and stay healthy! Here’s table in graphic form (you can save it and download it for quick reference). No gluten, no grains, no legumes, no dairy, no sugar, and no alcohol. You’ve got that down already. Gluten is inflammatory for the gut and should be removed from the diet of anyone with autoimmune disorders. Grains and legumes are removed to avoid anti-nutrients like phytic acid and inflammatory lectins. Sugar and alcohol are removed because they are highly inflammatory and do not bring any nutritional value or healing properties to the table. If you need a refresher on Paleo, check out our Paleo 101 Starter Guide. Vegetables such as peppers, eggplant, and tomatoes have been found to be particularly inflammatory, causing joint pain, skin irritation, and gut discomfort. What are nightshades? Check out our article. Eggs are eliminated because the proteins and enzymes in eggs (and in the white in particular) are able to work their way through the gut lining during the digestion process. Although this can occur in healthy people as well, in those with autoimmune conditions, the egg particulate matter gets through the barrier of the gut lining easily and infiltrates the blood stream, causing immune system stimulation and reactivity. Nuts and seeds are high in anti-nutrients such as lectins and phytates. They are one of the most allergenic types of foods and can cause sensitivities in people struggling with autoimmunity. Additionally, the ratio of omega-3 to omega-6 fatty acids is suboptimal in most nuts and seeds. In fact, nuts contain a high amount of omega-6 fatty acids, which are pro-inflammatory. Try to keep fruit to one to two servings per day. This keeps blood sugar levels stable and also helps you avoid taking in too much fructose, which can be irritating for the gut. These additives bring no health benefits and contribute to leaky gut. Other additive like nitrites are inflammatory for the body and can also be allergenic. Avoiding NSAIDs is about attempting to heal the gut lining, as this is critical in managing autoimmune disorders. This can be tricky because many medical regimens for autoimmune disorders such as rheumatoid arthritis, chronic pain syndromes, and acute bouts of thyroiditis use NSAIDs. Before removing these medications from your regimen, discuss this with your medical provider. One key to AIP success is to focus on following the diet for a set period of time and to track your symptoms over a number of weeks. How long you choose to stay on the AIP is 100% up to you and should depend on how you feel following the diet. A strict elimination period of at least thirty to sixty days is recommended, but many people stay on the protocol for months until they start seeing the resolution of their autoimmune symptoms. By setting a timeline for your elimination diet, you can focus on the healing aspect of the diet and stay motivated with an endpoint in sight. While AIP may help you to find out which foods you react to, the strict autoimmune protocol is not necessarily meant to be followed for life. Once you’ve completed the diet, have a focused reintroduction period to identify your food triggers and sensitivities. 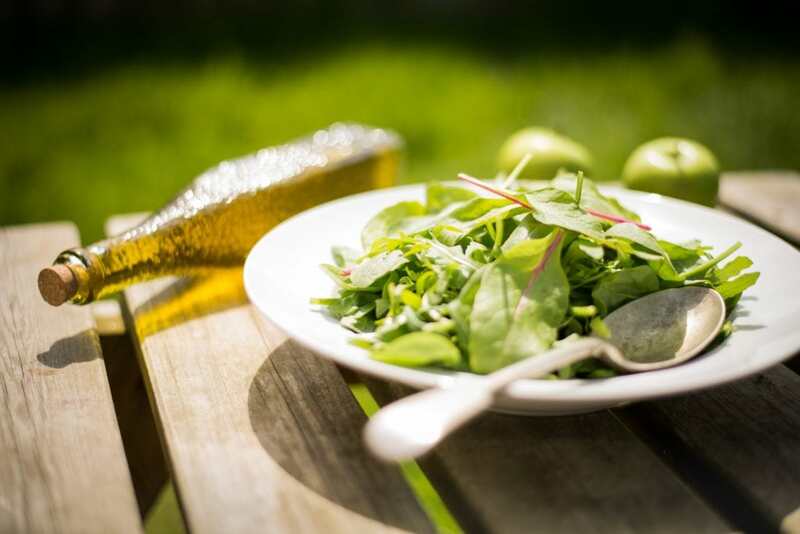 For most people, adherence to a strict (and by strict I mean strict) paleo diet for three to four weeks, paired with a more mindful eating approach, will usually alleviate any ailments and help them become healthy again. 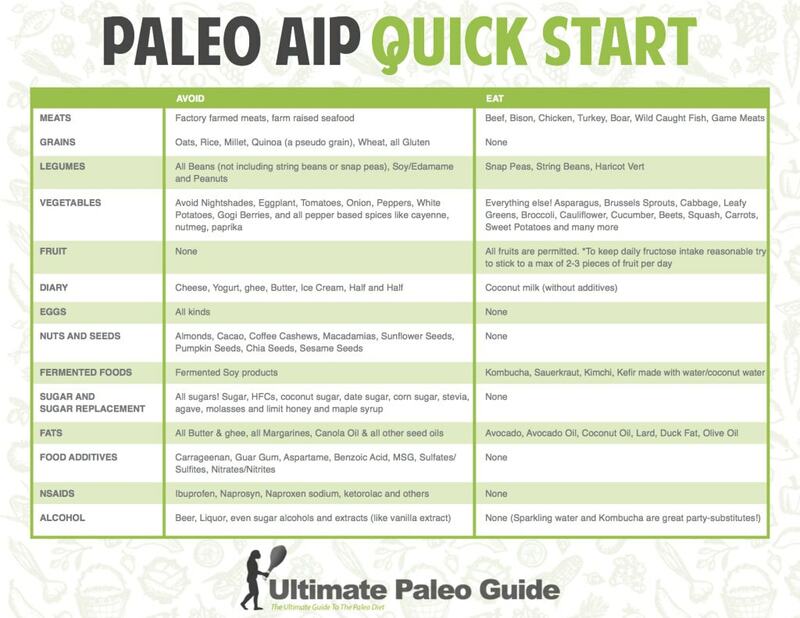 You can find a list of paleo-approved foods right here to help you get started on this. Remove all toxins and gut irritants like alcohol, caffeine, drugs (over the counter, antibiotics, etc. ), gluten, dairy, corn, soy, legumes, industrial seed oils, and sugar. Replace with healthy and healing foods like those found on the paleo diet, super foods like bone broth, and fermented foods. Repair with specific supplements such as L-glutamine, zinc, omega-3s, and vitamins A, C, D, and E.
Restore with healthy bacteria and probiotics (25-100 billion units), digestive enzymes, hydrochloric acid, and soluble fiber. After removing some or all of these foods for three to four weeks, you can then start to reintroduce them very slowly and one at a time. On the first day of reintroduction, you may decide to include some dairy like cheese. After this first day of reintroduction, you’ll want to wait two to three days before reintroducing another food. This is because it can often take 24-72 hours for your body to have a response to what you have eaten. Aside from some of the more obvious physical reactions, make sure to pay attention to things like your mood, energy, sleeping habits, digestion, headaches and sinuses, bloating, and cognitive function. It’s a great idea to use a journal throughout this process to record your results, measure progress, and to refer to later on. The AIP can be a strict protocol to follow, but the rewards can pay off big time. Have you tried it before and had success? Let us know your experiences with AIP in the comments. Bonus – traveling to another country? We love these gluten-free cards from Legal Nomad that will help you communicate your need for gluten-free foods in different languages. Check them out! Although the information in this post may be helpful, the way it’s written is anything but. It starts out by scaring the target audience by talking about fatalities due to autoimmune diseases and then explains at length all the things you can’t eat if you have an autoimmune disease. For anyone, and especially someone struggling with an autoimmune disease, that’s extremely discouraging. The logical question in response to this article is “well then what can I eat?” I suggest focusing on the positive as opposed to the negative. That’s the way to facilitate change. Helpful to know what not to eat. The real challenge is to know what to replace what you’ve eaten for 30 years after additional products have been excluded. gluten free and dairy free helps a lot but I find it hard to just it vegetables. And the bomb. No peppers and tomatoes. What will my “pizza” be like now? I would love to see a shopping list that shows good alternatives or ideas to be able to eliminate these foods for a time. Its hard to come up with creative meals when I am trying to avoid so many staple items. Great idea! Perhaps we can put together a list of “yes foods” for you to work with. Stay tuned! I’m new and have been following the Paleo. Now I’m reading to avoid eggs veggies tomatoes onions eggplants. Keep fruits to minimal. Avoid nuts. With that being said what else is there on top of the rest yiu already have pulled out of your lifestyle to the Paleo. HI Darlene– Keep in mind these are only recommendations for folks dealing with autoimmune issues. The AIP is also usually only used for a limited period of time to help lower inflammation and also discover food sensitivities. The AIP focuses on a nutrient dense diet of protein, vegetables and healthy fats. Hope this helps! Onions are not a nightshade and are acceptable on the AIP diet protocol. However, onions (and garlic) are restricted on a low FODMAP diet, as they both contain fructans (oligosaccharides). They are to be omitted during the elimination phase of the low FODMAP diet. This could be where the confusion lies. You have listed out the things NOT to eat. It would be helpful if you gave a list of what we CAN eat. I’ve had eczema/autoimmune issues for 10 years now and I have linked it back to diet. I’d like to have a cleanse plan to help regulate what I can eat. Any additional info you can provide would be helpful. Great idea. I will work on providing a list of “yes” foods too. I find it helpful to focus my grocery shopping on the trio of (1) organic protein, (2) plenty of vegetables (sans nightshades) and (3) healthy fats like coconut, avocado, olives/olive oil. hi, I have just read thru anti-inflammatory paleo diet…..what on earth do I eat then…I am very discouraged and how long do I leave out these foods, it’s bad enough being Gluten Dairy yeast free I am fine with no sugar, but some of the veges and all the good nuts……I am totally depressed, God creàted all these foods for mankind and yes there is opposition in all things….and why should I believe that you know what is best for me. I follòw people such as William Davey wheat belly , Mark Hyman the blood sugar solution. Dr Tom O’Bryan , and our own aussie health guru Mark Hathaway from bio synergy. No rice milk, no almond milk in my smoothies, because they are nut and seed origin according to Paleo. I try to eat also as much Organic produce as well , I understand this principle, and of course filtered water. I take care with my household and personal care products. In the Lords Church LDS, we have a health code called the Word of Wisdom, I don’t drink alcohol, tea and coffee, a lot of meat. And yet Paleo calls for much meat. I feel like curling up, never shopping again. I look forward to ur education and thoughts. So what CAN you eat? Can you provide a sample menu or list of recipes that fit into this? The list of no’s is so overwhelming and defeating! Hi Shanna–sorry you found the article to be discouraging. Hopefully we can provide you with some helpful AIP recipes in the near future too. I understand that the AIP feels restrictive but the upside is this: the AIP is NOT forever. Typically people only follow this strict way of eating for a few weeks/months in order to decrease symptoms and inflammation. While it sounds restrictive, I try to keep in mind that there are plenty of veggie options out there without nightshades, many different ways to prepare protein sources, and very tasty healthy fats like avocado, coconut, and olives. Fruit is also still available and is not necessarily a “no’ either, the idea is just to keep it to a couple of pieces per day and not rely on it as a crutch that replaces sugar and sweets. I started the paleo diet Jan. 1st. Added some exercise and I have lost 21 pounds. Any advise on what you should eat under these circumstances? Hi Christopher– I try to focus on finding a variety of veggies at the grocery when shopping, while still leaving out nightshades. I also base my meals around (1) organic protein (2) at least two veggies, on of which is leafy and (3) some healthy fat like avocado. Hope this helps! Onions? I’ve been reading other sites and they don’t mention avoiding onions. Curios, why they made your list – they aren’t a nightshade. Thank you Joel and Meagan for this article!! I don’t see enough regarding the reducing inflammation aspect! I am so encouraged that you took it there!! I’ve actually written to you about this before. I have already found so much relief from the inflammation just keeping myself on my paleo way of eating. Started Jan 1, did my paleo for six weeks and noticed I wasn’t In as much pain, using less of the medications that have become a part of my life everyday! THEN, I went on vacation! I ate recklessly! Well, the pain came back full force!! The need for the medications came back full.force!! I was miserable the second half of that week on vacation. Got back on paleo and within 7-9 days was back to the feeling better stage. I will forever sing the praises of paleo to everyone that suffers a chronic pain issue. As for the exclusions in this article, I will try taking one out at a time until I have taken out what was recommended. I will chart my pain progress, as I am curious! I don’t know about anybody else, but I’ve been in pain for ten years! At times just getting out of bed is met with tears, Joel if you and Meagan say this will help, then I’m in! Not only singing the paleo praises!! But also singing the praises of The Ultimate Paleo website and your cookbooks! Anyone as dedicated in helping me, help myself, deserves the love!! Thanks for these helpful tips! I noticed the recommendations for fruit are 1-2 servings per day and then on the chart it says 2-3. I was just curious which it is? I am trying to do this plan while breastfeeding and am finding it difficult to eat enough carbs to maintain a healthy milk supply while limiting most carb containing foods including fruit. I understand the reasons behind doing so, and I want to comply. Do you have any suggestions? I naturally feel better while consuming more carbs (150-200g) even when not breastfeeding. Thanks for any tips! I have recently been diagnosed with early Relapsing Polychondritis. I have been vegetarian all my life and have just started eating oily fish as I know how good it is for inflammation. I am wondering if it is possible to follow the paleo protocol diet whilst not eating meat (other than fish)? Thanks! Hi there. I need a little help. I have been following the AIP prptoco; for a couple of weeks now. However, at night I find myself eating spoonful after spoonful of honey! How do I get rid of this sweet tooth! Thanks! Hi, I have an autoimmune diet ‘Nephrotic Syndrome’ so no symptoms to monitor to reintroduce foods. Any relapse is to risky. Should I stay on the diet forever? Hi. Thanks for this article. It clearly outlines what not to eat, which is great. I was wondering though, I have been wanted to start the AIP, but I have read that it’s important to deal with issues like SIBO, dysbiosis, or parasites first. I guess I am unsure if I have any of those things and don’t really have the money to find out if I do (right now). So is it still worth it to do the AIP? And if I still don’t feel well, should I assume that something greater is wrong and get checked out for other underlying conditions? I am also wondering why nutmeg is listed as a pepper based spice. Nutmeg is not a nightshade either. It is the seed of a tree in the genus Myristica. Love me some nutmeg! So it says to avoid eggs then you list eggs on the can eat meat list…I am confused as to which is correct. Instead of NSAIDS, use Turmeric. I make turmeric shots: 1 tablespoon (approx) in a small amount of water usually works. Takes about 45 mins to an hour to kick in. Thank you so much for posting this article! I had Grave’s Disease as a child and have had Hashimoto’s the last 2 years. Although I would consider my Hashimoto’s to be pretty mild, I’m not on medication, I’ve recently had some infertility issues which have caused me to begin researching. After really digging in, I’m beginning to learn just how abnormal I am feeling. Anyways, this is the first post I have seen that actually breaks it down in an easy to read format and helps me to understand where to start. Thanks!! I would like to know if the AIP can be used to reverse alopecia areata. Is there a more specific food list that I could follow? My son also has alopecia, 6 months. He has started theAIP and is about to reintroduce some foods after 2 months. Haven’t seen much difference in hairloss or growth but it’s always coming or going it seems. He does feel much better since starting the elimination phase. Good luck to you. I can’t give up butter. I eat Smart Balance which they say has no dairy. Is that ok? You’re better off eating butter. It’s a heck of a lot better for you than canola & soybean oil (which is what smart balance is). Thanks for his helpful information! Some of it was new to me. Heads-up, it’s “physician assistant” with no apostraphe ‘s’ :). I started following the AIP one week ago to heal in an attempt to get my recently diagnosed multiple autoimmune diseases in remission. I am also doing yoga several times a week and I will admit it was one of the most difficult things to change. Today was the first day I felt some relief from my pain- both muscle and bone/joints and my belly bloating is diminishing. My skin is clearer and brighter. A month ago I felt destroyed to here my diagnosis after a year of persistence with finding the problem with my failing health. I am so thankful and hope that those that are upset and having the same tantrum I had about ‘giving up everything’, this body is your forever home and when your symptoms are stronger than your habits, give this a try. Do what was suggested in this article and love yourself back to help with amazing organic meats and roasted veggies with morning smoothies! Avocado! Broccoli! Olive oil! and Coconut water or milk smoothies with organic fruits and veggies…does not sound so bad now that I am am over the tantrum of having to change. I miss my coffee and will enjoy my organic teas until I try to reintroduce my beloved coffee with fingers crossed that it passes the test;) This diet is not meant for weight loss, although it seems to work out that way–AIP is a game changer. I don’t see where coffee is restricted. I found this to be extremely informative! I’ve been following it for about 3 weeks now and my chronic hives are down to about 4/5 now! What a relief. Especially since the Allergist told me ” you can’t eliminate all the foods that are affecting you. Just take 4 Zyrtec/dialy, 2 Pepcid/daily and 2 Benedryl every 4 hrs and this will eleminate the hives.” I call BS!! I am wondering if I can eat organic popcorn popped in coconut oil? I’m looking for one food that I love to keep me sane. I haven’t been eating organic corn after being told by a nutritionist friend that most corn is still gmo. I’m doing so much better now. Thank you again for the information above. Fantastic guide. Thank you! I found it helpful to see the no foods alongside the yes foods. AIP doesn’t feel quite so daunting after reading this article. 😃👍🙌 hashimotos has turned my life upside down. Ready to flip things right side up! Does eliminating eggs include quail eggs? I have only seen chicken, goose, and duck eggs specifically listed as eggs to avoid. Thanks! REALLY GREAT INFORMATION!, I’M THINKING OF DOING A KETO AIP TYPE DIET.